St Paul’s Wilford Hill lies in West Bridgford, a popular suburb of Nottingham. We are a welcoming community of different ages and backgrounds, seeking to grow in discipleship and numbers of disciples. St Paul's is a welcoming community of different ages and backgrounds, seeking to understand what it means to be disciples of Christ. We grow together through our gathered worship, small groups, and a variety of other activities whilst seeking to serve the needs and aspirations of our local community. Our goal is to double of worshipping community in five years. to achieve this, we are aware that we will need greater visibility and increased confidence in sharing our faith beyond a few active individuals. Challenging teaching through sermons – always. Nurturing young people and their fullest involvement in church. Effusive sharing of the peace. Becoming a better Christian, through our small group involvements. Knowing we are making progress; it may be small, but it’s continuous. Welcoming all – we consciously embrace and place ourselves in the “middle ground”. Relating worship and church to social justice issues and involvement. These aspirations reflect the wide range of folk at St Paul’s – all are valued, all are welcome. We are looking for a spiritual leader who will engage with and inspire people of all ages and backgrounds, and who will encourage and enable Christian development. Enjoy participating in the social life of the church and wider community, sharing our joys and difficulties. Deeper as we seek to grow disciples with a confident faith in Christ who are making a difference in every sphere of life, helping shape the culture and character of society. 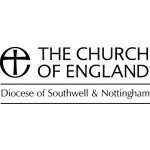 Working in Southwell & Nottingham is an adventure and a challenge – the opportunities for mission are immense, the people are open and friendly and forward looking; there are also areas where the church is desperately needed to work with, and be a voice for, the poor and needy. We are not just talking about growth, we are praying and acting in new and exciting ways to make it happen; we launched a Younger Leadership College in Autumn 2016 (http://youngerleadershipcollege.org/) with the aim of developing 1,000 younger leaders to servce in the Church and wider society. A new resource church has opened in Nottingham in an abandoned auction house that sits on one of the main roads into the city centre; Trinity Church is now a growing, diverse congregation working with our existing churches to bring Good News to the city. Other new ventures are planned in the rural centre of the county – work is now under way to start a new, distinctive church - market towns and former mining communities. However, it is in the development of our core ministry in every parish that we recognise potential for the most significant further growth. We have a programme over the next seven years to equip 25 resource churches which will be beacons of growth, supporting other churches in training for discipleship and leadership; also helping to plant and graft 75 new worshipping communities. And we are aiming to welcome 7,000 new disciples into the fellowship of Christ and his Church by 20xx, people who have realised that there is nothing better anyone can do with their life than to become a follower of Jesus. There’s a lot to discover in the fascinating county of Nottinghamshire: rolling farmland and quiet woods; a cosmopolitan city offering the best in entertainment; two first-class universities; world-leading design and technology companies; fine architecture – and Robin Hood. Add to that it’s beautiful country parks, stately homes and sporting prowess – it’s home to Trent Bridge, the National Water Sports Centre, and Nottingham Forest – and it’s easy to see why it is such a popular destination for tourists, students, shoppers and sports fans (and we haven’t even mentioned its literary heritage, the mighty River Trent so popular with rowers, sailors and anglers, and the modern tram network that whisks people around Greater Nottingham). The Diocese incorporates the whole of Nottinghamshire and a small slice of South Yorkshire, and has a breadth of ministry that covers tough former mining communities and city estates, isolated hamlets and villages, and historic market towns. On any one day, people from our congregations will be feeding the hungry, finding shelter for the homeless, providing meals for the lonely, working with the elderly and supporting asylum seekers and refugees – in 2016 the Bishop’s Lent Appeal raised more than £12,000 to help refugees and asylum seekers. We also support Nottinghamshire Rural Support, a charity that helps farmers and their families, and have pioneered work to reduce debt, including the launch of Lifesavers projects in primary schools, which encourage children to save and also teaches them about finance and budgeting. We are active in protecting the environment through our Freedom of Creation group – many of our vicarages now have solar panels – and we have a group of Workplace Chaplains who work with employers large and small to support the wellbeing of employees.